A laser directed energy weapon will be the first project to be undertaken at Dragonworks, a new UK facility dedicated to the development and testing of advanced laser technology. Located at Qinetiq’s headquarters in Farnborough, the new facility will serve as a test bed for all technologies associated with high-energy lasers for military or commercial applications. It includes a clean-room and the UK’s only Reflective Hazard Assessment Tool (RHAT), which is designed to examine how laser energy is reflected from different surfaces. According to Qinetiq, further additions to the building will create an environment where customers can conduct full-scale testing of high-energy lasers. Steve Wadey, Qinetiq CEO, said: “Dragonworks introduces a brand new sovereign capability, which will significantly enhance the UK’s ability to operate and characterise high energy lasers. “It will help our customers to understand the opportunities and challenges associated with this disruptive technology, informing their critical strategic and tactical decisions. The first project to be undertaken at Dragonworks will be the assembly and testing of the laser directed energy weapon (LDEW) currently in development by the UK’s Dragonfire consortium, led by MBDA. Components will arrive in early 2018, when Qinetiq will begin building the weapon’s laser source. 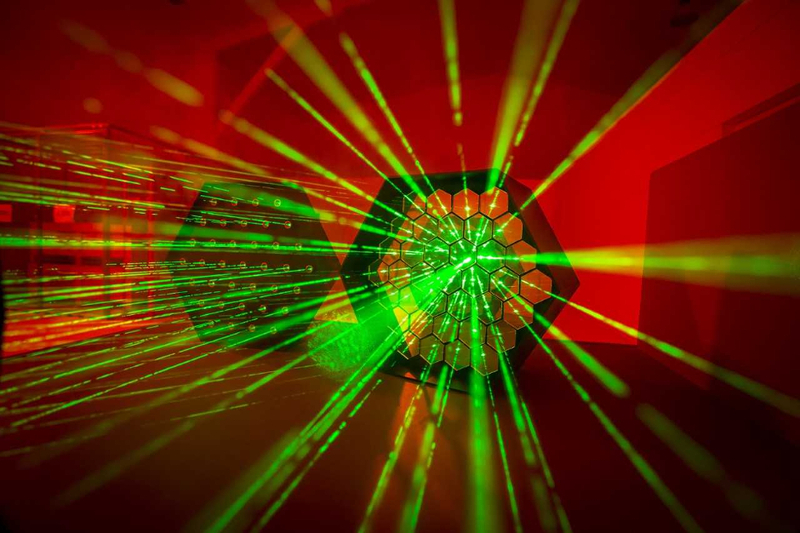 Over the following months, the laser source will undergo a process of evaluation and adjustment before being integrated with a beam director developed by Leonardo. The project will culminate in operation at full-power under test conditions inside the facility in summer 2018, before it is transported to MOD Shoeburyness for long-range outdoor trials later in the year. Data collected using the RHAT will inform the safety case for these and future trials. You know, Dr Evil had just one simple request. And that was to have sharks with frickin’ laser beams attached to their heads. Maybe they will be able to burst balloons at 100 mile range. Balloons at the farewell party for mankind? Could it be used to write “brexit means brexit” on the moon? Mickey, I don’t know who you are but that was an inspired suggestion and very funny! Just imagine the SLA machine you could build with that laser! !